Front view of stylish, retro, portable transistor radio which received FM and AM bands. 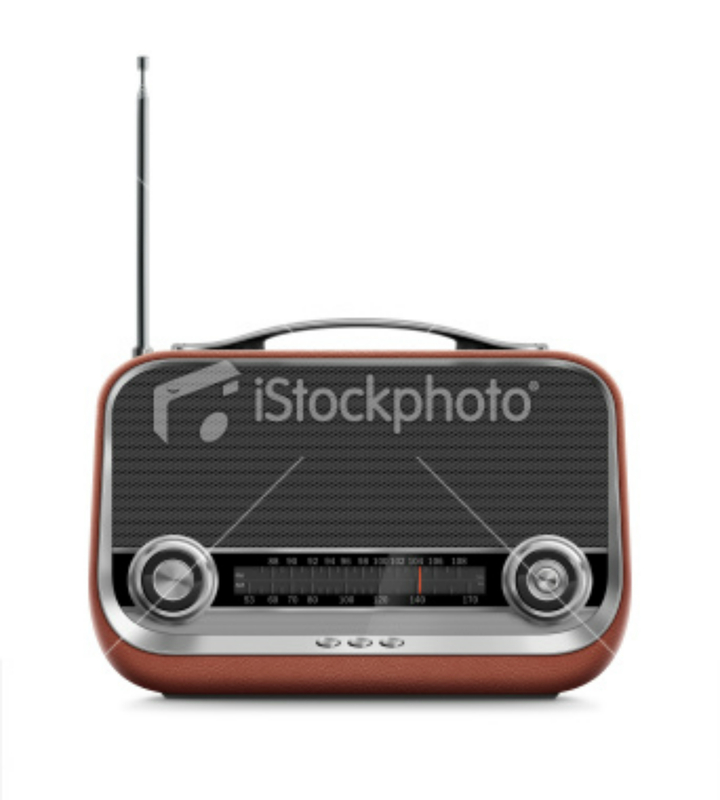 Radio has a leather skin body covering, analog display, metallic handle, honeycomb speaker grille with metallic buttons and antenna. Clean image and isolated on white background.